Who is the best cook in town? And who will win that surfboard? Ten year old Sam Sumner is the best sportsman at his school. That’s until Finn Hester moves to town. Finn is good at everything, even at Nippers, Sam’s favourite thing. Finn’s mum’s cooking is also causing a stir – Sam’s mum used to be the best cook in town. When Finn joins Nippers, and there’s a chance to win a surfboard signed by Mick Fanning, things heat up in the surf…and in the kitchen. There’s going to be a showdown between these new rivals! I’m a collaboration between sister authors—which is super cool, because it’s nice to work with family. (They didn’t argue too much—only a little bit.) I’m set in the coastal fishing/holiday town of Robe in rural South Australia. 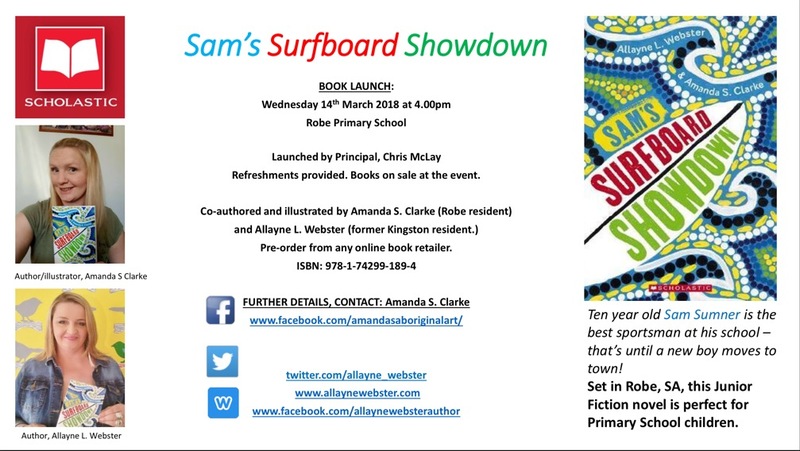 I tell a very suspenseful story about a boy, Sam, who desperately wants to win a surfboard signed by Aussie surfing champion, Mick Fanning. Will he win? Won’t he? I guess you’ll have to read me to find out! I’ve been told I’m endearing because my protagonist is pretty confident and convinced of his own ability…that’s until a new boy moves to town and gives him some stiff competition! I think I’m also a little bit inspiring because I demonstrate that compassion and understanding are good traits to have too. My ending is unexpected and heart-warming—surprises are always good! My themes are about sporting rivalry and friendly competition. Not only does my chief protagonist, Sam, have a feisty competitive spirit, but also his mum! Sam is Aboriginal—just like his co-author, Amanda. So there’s that, too. It’s good to have diverse characters, don’t you think? Allayne L. Webster, one of my co-authors, thinks her writing style varies from book to book. She’s not exactly consistent. She has always aspired to be like Judy Blume and to have an authentic voice (if not, a little bit cheeky.) Allayne’s co-author, Amanda is enjoying the notoriety of her first book, so she’s not really sure who she compares with. She’s also the book’s illustrator. What do you think of your cover image? I think my cover image is pretty spiffy because one of my co-authors, Amanda S. Clarke, created it. (It’s almost a little bit rude that she can paint and write, isn’t it? Some people get all the talent!) I think I’m super colourful and eye-catching. I reckon I successfully dodge gender marketing stereotypes—which makes me a little bit proud. I’m like, Look at me! Look at me! and I strut around thinking I’m hot stuff. I have a lot of confidence, much like my hero, Sam Sumner. What kind of effect have you had on your readers so far? What’s the craziest or most heartwarming thing someone has ever said about you? Because I’m a newbie on the bookshelf, I haven’t had many readers yet—only my sensitivity reader and my editor. I have snuck into the hands of some author friends who’ve said I’m a super-fun entertaining yarn and pitched perfectly at junior readers—so that’s nice! I think the coolest thing someone has said about me is that it’s nice to see me featuring a real town in South Australia. I agree. I think it’s important for kids to see their land/place represented, not just fictional settings. I have visited Torquay, Vic, which is where lots of cool surfing stuff happens. The Australian Surfing Museum has a copy of me. d. I would go this one, because that’s my audience, and that’s who I care about! I belong to Omnibus Scholastic. You can buy me at any bookshop, online, in ebook format, or via Scholastic catalogues. Allayne grew up in the coastal fishing town of Kingston South East, South Australia. 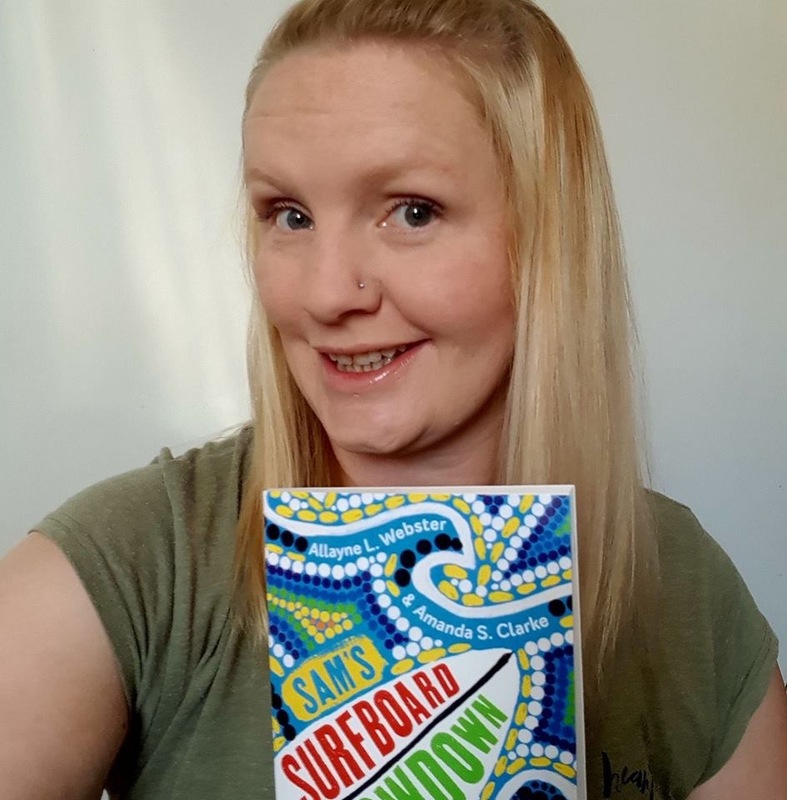 She’s the recipient of three SA Arts grants, a Board Member of the Salisbury Writers’ Festival, and she helped to establish the Women’s Professional Development Network Book Club at the University of Adelaide. She’s a 2018 South Australian Premier’s Reading Challenge Ambassador. 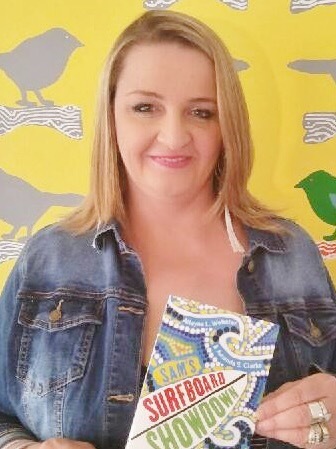 Allayne’s middle grade title, Paper Planes (Scholastic) was a 2016 CBC Notable Book and shortlisted for the Adelaide Festival Children’s Awards for Literature. In June 2017, Allayne released a middle grade novel, A Cardboard Palace (MidnightSun Publishing) OS rights were sold, and it will be released in Sweden this April. The Centre of My Everything (Penguin Random House) is her third YA novel. A fourth, Sensitive, is contracted with UQP, due for release mid 2019. 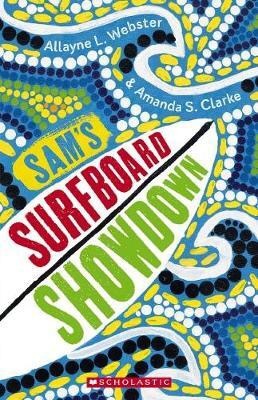 Sam’s Surfboard Showdown, (Scholastic) is co-authored and illustrated by her sister, Amanda S. Clarke. Amanda, an Aboriginal artist, is a descendant of the Ngarrindjeri people, born in Kingston S.E. on Meintangk land, now residing in neighbouring Robe SA, on Boandik lands. This is her first publication.